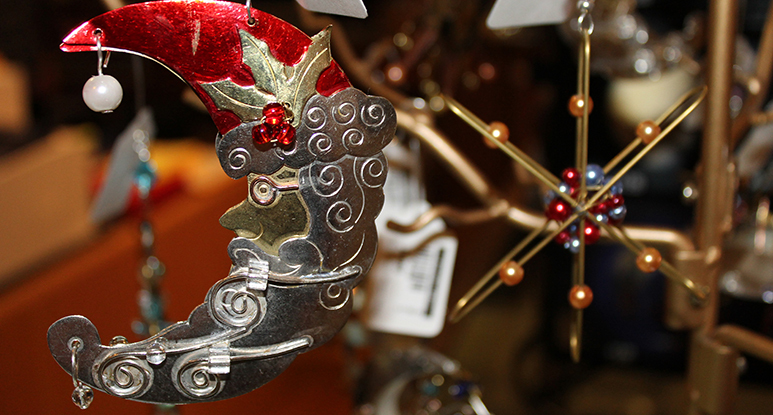 The Gift Shop has astronomy themed items available year-round, many of them are also available online. During winter, please take extra precaution driving on Mt. Hamilton Road up to Lick Observatory. Snow and black ice can cause hazardous road conditions. 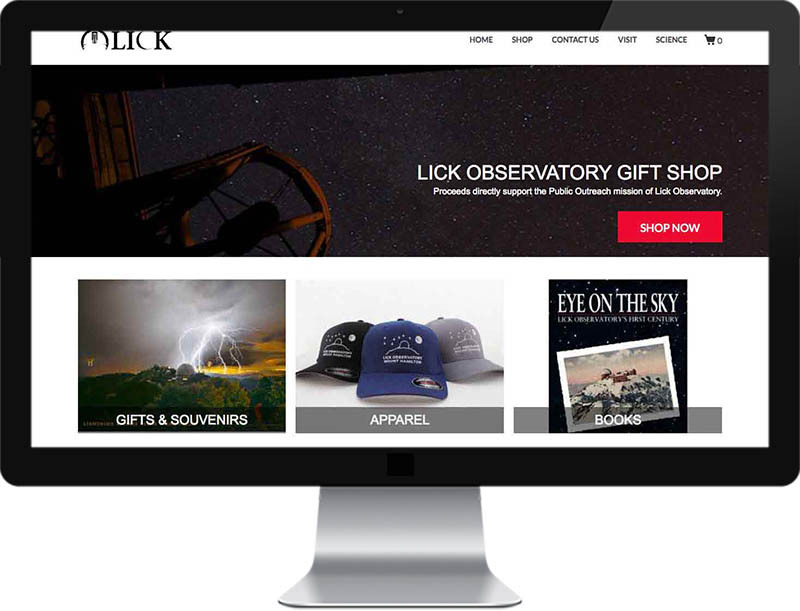 If you are lucky enough to visit Lick Observatory in person, you can take home souvenirs of your visit from our extensive selection of Lick Observatory sweatshirts, T-shirts, mugs, and astronomical photographs as well as posters, educational toys, and other astronomy-related goodies. All proceeds from the Gift Shop go directly to support the visitor and outreach mission of the observatory, including free public tours of the 36-inch Great Lick Refractor. The Gift Shop & Visitor Center are open year-round. Open 12 - 5 p.m. The Gift Shop and Visitor Center are also open on the following holidays: New Year's Day, MLK Day, President's Day, Easter Sunday, Memorial Day, Independence Day, Labor Day, Columbus Day, Thanksgiving Weekend (Friday, Saturday, Sunday only). We are also open for the entire week between Christmas Day and New Year's Day, including New Year's Eve (Dec 26 - Jan 1). The observatory is closed on Thanksgiving Thursday, Christmas Day and Christmas Eve. Not able to visit the Observatory any time soon? You can order many of the unique Lick Observatory Gift Shop items online! T-Shirts and Sweatshirts In Adult and children's sizes. For more information, please email giftshop@ucolick.org or call the Gift Shop during Visitors Center hours (Thursday - Sunday, 12 - 5 p.m.) at 408-274-5061: we will be happy to answer your questions!